Lawns are almost an integral part of most landscapes. They add greenery to the open spaces and help create spaces where you can entertain guests and spend some leisurely moments there with your family. In fact, it creates and amazing background for any other plantings and trees you decide to install. We provide our services throughout greater Las Vegas, NV and surrounding regions. Most homeowners find that the weekends aren’t sufficient to tackle all their chores and lawn maintenance only proves to be an added burden. While most people are pretty enthusiastic about tending to their lawns, at the outset; over time they find they just don’t have a sufficient amount of time to dedicate to its care. 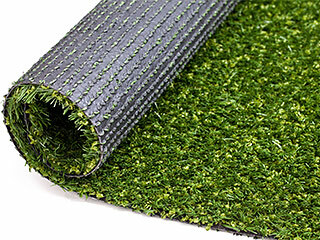 Why Opt For Artificial Grass? Neglect and poor maintenance impacts the look of the lawn as well as the rest of the landscaping. It’s why we recommend to our clients that they should opt for artificial turf instead of natural grass. Many people are skeptical at first and feel that this type of installation will have a very plastic-like feel to it and that it won’t enhance the appearance of their garden and yard. If you have a natural grass lawn, you have to ensure its edged, mowed and de-weeded regularly. This isn’t something you have to worry about at all when you get artificial grass installed in your landscape. Many people have children and pets in their homes and are constantly worried about them getting affected by allergy-causing weeds; and muddy footprints and paw-prints are another concern. They don’t need to worry about these things when they opt for artificial turf. Since the maintenance and care costs are very low, it becomes a cost-effective option, in the long term. You would only have to occasionally clean the installation using a garden hose; and that’s more than enough to keep it free of dust and dirt. In case there is any damage to the artificial grass that can be fixed quickly as well. In case of any repairs, that too can be done quickly, with the least amount of hassle. 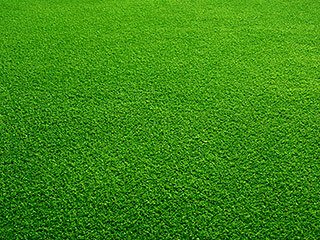 We at Scapes and Stones are a very well-established company that provides excellent artificial grass installations. Speak with our experts at this number 702-278-3228 and give us some more details about your project. You can also contact us through our online form and we will respond shortly.